A financial plan should provide the foundation for your financial life in one complete picture. It will help you manage your money, maximize cash flow and protect your assets now and in retirement. The true power of this planning comes from evaluating your current financial position and creating a strategy that provides direction and meaning to secure the lifestyle you want for years to come. Asset Protection Planning is designed to keep your assets safe from creditors in the event you are sued. Techniques for protecting your assets include maximizing IRA contributions, moving funds to an irrevocable trust, retitling various assets, or using limited liability companies or family limited partnerships. Thoughtful planning allows you to design the transfer of your wealth as you desire while minimizing the current and future impact of taxes on your estate. It also can protect your assets from unexpected health, personal and business risks and help ensure the ongoing management of your wealth regardless of life’s uncertainties. There are many different ways to accomplish your charitable intent. Some charitable planning strategies include charitable trusts, donor advised funds, gift annuities and outright gifting opportunities. We will work with you to determine how one of these or a combination may fit into your plans. You have worked and saved your entire adult life, but how do you know when it is the right time to retire? How much income will you need? What steps should be taken now to ensure the lifestyle you want when you stop working? Our professionals will help you answer these questions and guide you so that you can retire with confidence. Financing a child's higher education can be a challenge as tuition costs continues to rise, but there are strategies that can be used to ease the burden. Regardless of the age of your child or grandchild, proper planning can help cover the costs of a higher education. Business owners face unique challenges, but defining the obstacles and creating a plan with sound goals can alleviate concerns for the future. Whether you plan on selling your business for a profit or keeping it for future generations, our professionals can help. 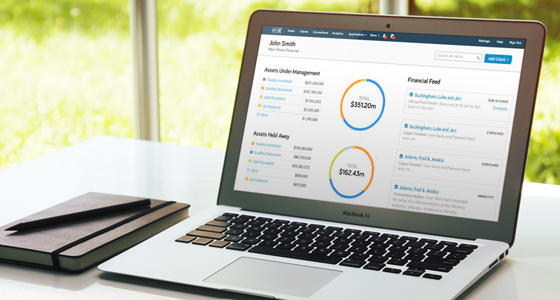 FineMark’s online wealth management tool aggregates all your financial accounts and assets on one page. You can track spending habits, monitor cash flow and plan for retirement. The tool also pulls information from any financial institution to give you a consolidated view of your financial picture. The fully customizable site not only aggregates account information, but also illustrates your net worth through interactive charts and detailed summaries. Our advisors have the tools to show you where you stand today and where you will be tomorrow.